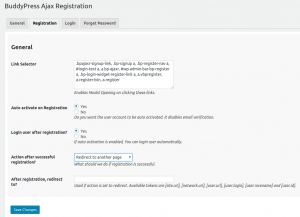 The registration panel allows you to setup the registration modal box. Link Selector:- It is a comma separated list of css selectors. It allows you to setup css selector for the links that will trigger registration modal box. 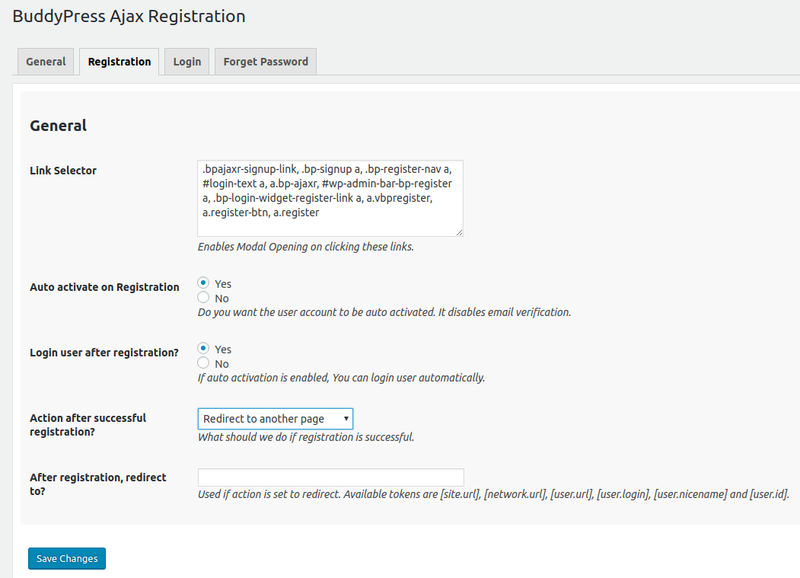 You can add selector for any link and clicking on that link will trigger the registration modal box. Auto Activate on registration:- If enabled, user account will be auto activated. They won’t need to validate their email. Login After Registration:- It is only applicable if auto activation is enabled. You can login the user automatically after their account registration. Action after successful Registration:- It allows you to decide the action to be taken after successful registration. You can show the response in the modal or reload the current page or redirect to specific url.